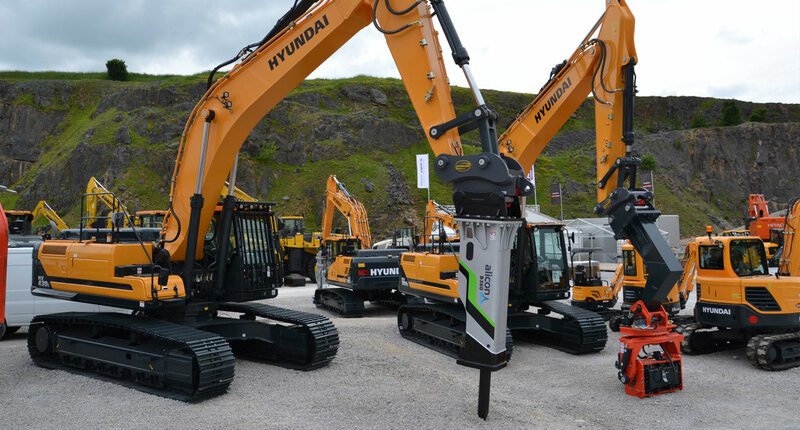 June 2016 saw Strickland MFG’s first appearance at the Hillhead Quarry Exhibition. Braving the cold and rain, the experienced Strickland Team were out in force to showcase their latest product range. Featuring the best they had to offer the quarrying and demolition sector, Strickland MFG displayed Heavy Duty Box Tyne Grapples, demolition spec Pulverisers, robust Shaker buckets, alongside their always popular digging buckets. On show again was the Strickland S-LOCK Coupler, which made its debut at Plantworx 2015. Having created a good amount of interest at Plantworx, Stricklands have made great inroads with the S-LOCK Coupler, securing preferred supplier status with many OED & Plant Hirers, including M&M Plant Sales, Ernest Doe & Sons and Morris Leslie. This interest continued at Hillhead and they are confident that further partnerships will be secured in the very near future. Having proven themselves with OEM, OED & Plant Hirers alike, on quality, pricing and availability, Strickland MFG are certainly a force to be reckoned with within the Construction sector. They will next be exhibiting at the Ploughing Championships in Tullamore, Ireland, in September this year and will be back again at Plantworx in June 2017.